Calling all creative and cultural SMEs and Micro Businesses in the East of England – join Culture Change for a free, practical workshop. Get support on building an action plan to take your first steps in ‘going green’. 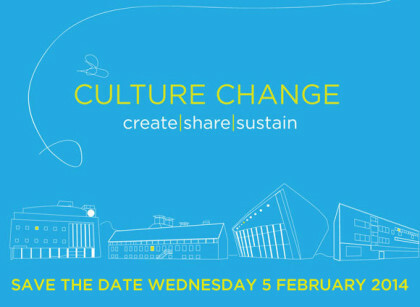 There will also be networking opportunities to connect with a UK-wide community of creative businesses, acting together to become greener, and access to ongoing support through the Culture Change programme. Julie’s Bicycle is an environmental charity working with over 1,000 creative businesses, both UK-based and international, to go green using the latest tools and resources to support action and sustainable business growth. Please note: this workshop is only available to businesses registered in the East of England, including Bedfordshire, Cambridgeshire, Hertfordshire, Essex, Norfolk and Suffolk. For more information about Culture Change see www.juliesbicycle.com/culture-change. Green Art Lab Alliance is a European-wide programme dedicated to promoting environmental sustainability and how that can be challenged in practical, ethical, and artistic ways across arts genres and cultural communities across Europe. On 12-13 March 2014, the alliance’s next workshop was held in Berlin, Germany. “We believe it is time that arts and culture takes responsibility in its own innovative and artistic ways. The arts shouldn’t see environmental sustainability as a side issue, but as an essential part of its practice. What that exactly implies for the visual arts and design, is what this project will investigate on different levels and in close collaboration with designers, artists and scientists across Europe,” the initiators of the project stated. Based on the concept of a ‘knowledge alliance’ developed by DutchCulture|TransArtists in partnership with Julie’s Bicycle the Green Art Lab Alliance of twenty cultural organisations in Europe have created a partnership, building a collaborative project with cultural organisations and artists all over Europe and Georgia. The project has a total budget of 400,000 euro, of which 50 percent is co-financed by the EU Culture programme. 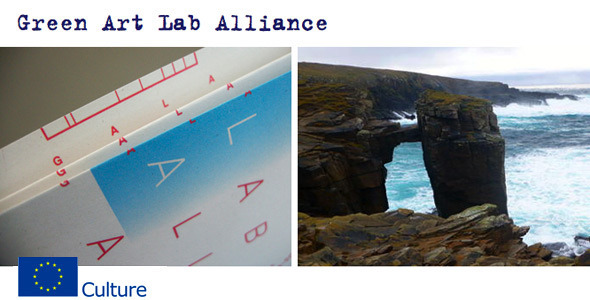 The Green Art Lab Alliance officially started with a kick-off meeting in June 2013 at the Jan van Eijck Academy in Maastricht, the Netherlands, and it will run for almost two years, ending in March 2015. During this period the collaborating partners organise workshops and labs to share knowledge and raise awareness amongst citizens and artists in particular. On 28-29 November 2013, Art Motile and the Gas Natural Contemporary Art Museum presented a two day programme of talks, workshops and a round table discussion with TransArtists, ResArtis, On-the-Move and Interarts, among others. On 12-13 March 2014, the Green Art Lab Alliance hosted a workshop on green issues for the sustainable support of cultural mobility in Berlin, Germany. This workshop targeted EU funders and cultural policy makers interested in including green criteria in the way they support culture and cultural mobility in particular. On the Move, Julie’s Bicycle and DutchCulture¦TransArtists co-organised the workshop together with with ITI-Germany and IGBK. Sholeh Johnston from Julie’s Bicycle is tutor of the training. “This workshop provided an overview of various approaches taken to embed environmental criteria into cultural funding. We shared the tools, resources and methodology used by example funding bodies, such as the Arts Council England, which has embedded criteria around environmental reporting into funding agreements since 2012. 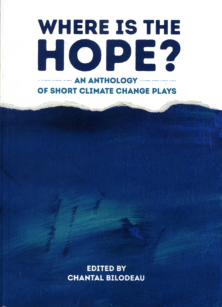 We covered case studies of how cultural organisations are interpreting environmental sustainability and the potential impact of policy in aiding and supporting this work, with a focus on touring, residencies and other mobility-related work. There was ample opportunity for discussion and thinking through how these learnings can be practically applied in various European contexts,” explained Sholeh Johnston. Along with this workshop a training for ecological and sustainable cultural work took place, entitled ‘Training sustainability!’. This training – supported by the German Federal Cultural Foundation (Kulturstiftung des Bundes) – targeted leaders and stakeholders in the performing arts. 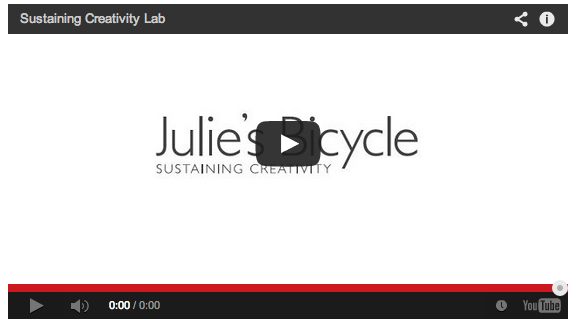 Experiences were shared and synergies were created at a joined introductory presentation by Julie’s Bicycle and at a ‘Green Salon’ on 12 March 2014. The participants also got a chance to visit in Berlin cultural and “green” places, including UFA Fabrik. “Maintaining the diversity of response in the context of a shared ambition will be critical for ensuring that the project has a strong foundation for legacy. With this project we will establish a strong network of artists and organizations engaged with this topic of environmental sustainability, which will be the foundation for establishing a European Knowledge Alliance. This European Knowledge Alliance will consist of knowledge hubs (ambassadors/artists and organizations) across Europe on the different ethical, practical and artistic aspects of environmental sustainability. There are residencies involved where artists, the general public and partner organisations get the chance to experiment and explore the role of sustainability in the arts. Others are European cultural networks, government related institutes which have impact on (national) policy level, educational institutes and organisations which are stimulating the exchange of scientific knowledge with the creativity of artists. The issues related to sustainability that these organisations are going to address vary from mobility to waste, water and energy. “All partners believe that it is time for the arts and culture to take responsibility in their own innovative and artistic ways. By exploring the different approaches and by sharing knowledge and best practices, the partners aim to identify realistic first steps to create a better understanding of the meaning of sustainability for and through the arts. »Discover or rediscover the Green mobility guide for the performing arts sector which On The Move co-produced with Julie’s Bicycle. This post from Julie’s Bicycle. Providing business support to build sustainability in creative and cultural industries across the East of England. The Culture Change Conference 2014 will bring together expert speakers and workshop facilitators to address how the creative and cultural industries can take action on environmental sustainability. 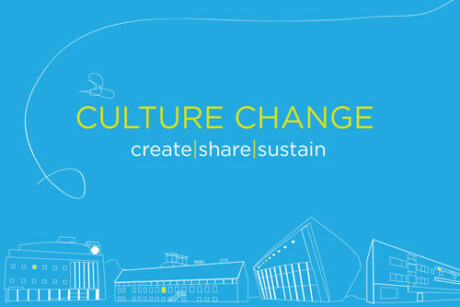 The conference will launch the Culture Change programme, through which Julie’s Bicycle is providing free low carbon business support to East of England SMEs in the creative and cultural industries from now until March 2015. 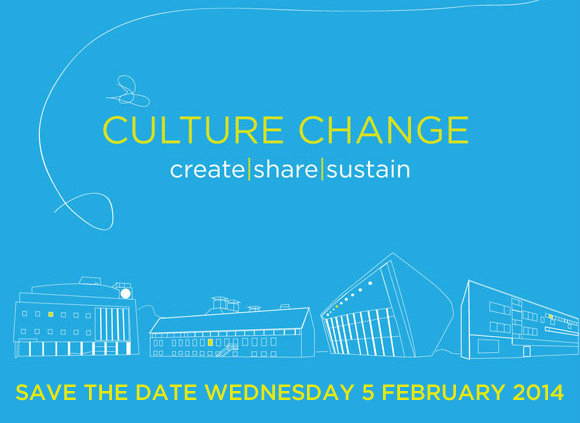 On 5 February 2014, the Royal Opera House is hosting a free conference to launchCulture Change, a new business support programme for creative and cultural industries based in the East of England. The conference will open at 9am with a networking opportunity, followed by an introduction by Alex Beard at 10.15am and the first presentation. It will close at 4pm.View the full agenda. The programme, run by the Royal Opera House and supported by the European Regional Development Fund, is designed to encourage sustainable development in small to medium enterprises by offering bespoke advice, a support network and a series of free workshops and seminars. The conference will include panel discussions about practical action on sustainability, led by speakers including Chris Rapley (Professor of Climate Science at University College, London), Orsola De Castro (leading eco fashion designer and founder of Esthetica) and Lucy Siegle (environmental journalist); taster workshops; introductions to the latest marketing strategies, carbon calculator tools and funding opportunities; and an interactive session to highlight sustainability objectives. To book a free ticket, register now. For any further information, please e-mail Michelle Flinn at michelle.flinn@roh.org.uk, or phone 01708 892849. The Culture Change programme has been created by a partnership between the Royal Opera House, Julie’s Bicycle, Creative & Cultural Skills, High House Production Park and Thurrock Borough Council. Click here to register your place and find out more. Calling for a more holistic approach to how we perceive the challenges and possibilities in the cultural sector, a conference in Germany sets out to merge aspects and findings concerning cultural diversity and inclusion with the urgent topics of implementing environmental sustainability. 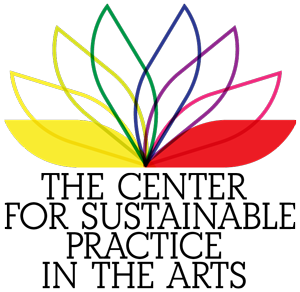 In March 2014, a conference in Germany’s capital Berlin will be exploring how creative industries can simultaneously occupy a central role in promoting and maintaining cultural diversity, social inclusion and environmental sustainability. Speakers and attendees will be discussing the concept of ‘sustainable economic growth’ and how to create jobs and innovation. “The onset of the global financial crisis has prompted the emergence of creative economies as an attractive and potentially more viable alternative to classical growth strategies,” writes the organisers. 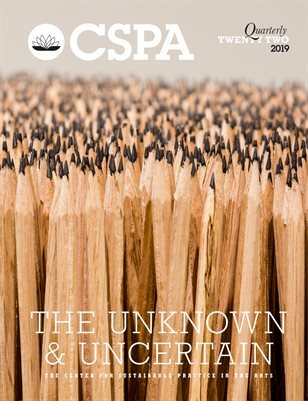 “The components of creative economies, such as new media, performing arts, heritage, design and creative services are beginning to form integral parts of the global economy, allowing for the exploration of innovative resources, which are accessible to developing and developed countries alike. 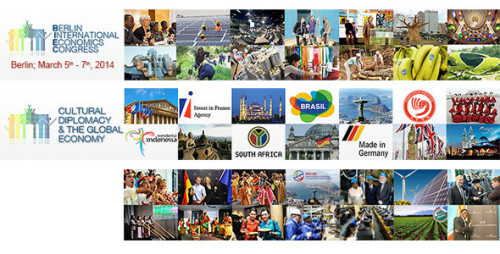 The Berlin/Frankfurt International Economics Congress 2014 seeks to explore and analyze the myriad of opportunities offered by the nurturing of creative industries, while integrating tools of Cultural Diplomacy into the creation and implementation of joint strategies of sustainable economic development. For instance the conference will focus on issues such as ‘Engaging Developing Countries in the Creative Economy for Sustainable Development’, and ‘Tourism as a Tool for Sustainable Economic Growth’. Participation in the conference is open to governmental and diplomatic officials, academics, artists, journalists, civil society practitioners, private sector representatives, young professionals and students as well as other interested individuals from across the world. During the conference, the participants will have a number of opportunities to network with one another, with the speakers, and with ICD Advisory Board Members and partners. Conference participants will become part of the ICD Alumni, a growing international network of people of diverse interests and backgrounds from around the world who share a commitment to intercultural exchange. The Berlin International Economics Congress: ‘Global Trends in Creative Economies: Education, Entrepreneurship and Tourism as Drivers of Sustainable Economic Growth’ in Berlin on 5-7 March 2014. Germany: Conference on cultural diversity and environmental sustainability – Calling for a more holistic approach to how we perceive the challenges and possibilities in the cultural sector, a conference in Germany sets out to merge aspects and findings concerning cultural diversity and inclusion with the urgent topics of implementing environmental sustainability. Set in a picturesque country park in Northamptonshire, the environment has always been central to the ethos of Shambala Festival. The event is now firmly established as a focus for innovation in sustainable technologies and the more elusive “science” of drawing people into a deeper dialogue about the environmental sustainability issues confronting us all today. For these reasons, Shambala was the first organisation ever to achieve a 3 star Industry Green certification from Julie’s Bicycle in 2010, and has most recently been awarded a 3 star IG certification for the 2013 festival too. In fact, the festival has scooped three 3 star Industry Green certifications over the last four years! Shambala also won the A Greener Festival outstanding award for 2013. Shambala has been undertaking independent carbon auditing since 2007, and thanks to a partnership with Peter Harper, Head of Research at the Centre for Alternative Technology, the scope of their studies has been even broader than our Industry Green assessment, including factors such as staff and concession travel and camping equipment, examining the life-span of the materials used to construct stages, and even guestimating how much more people might drink at a festival compared to a typical weekend at home! Building on a decrease in emissions per audience member of 20% between 2007 and 2008, Shambala has reduced carbon emissions per audience by an outstanding 81% (based on energy, water, waste water and waste) between 2009 and 2013, with a 32% reduction between 2012 and 2013 alone. This reduction reflects Shambala’s ambition to becoming 100% renewably powered. In 2008 Shambala aimed to use 100% waste vegetable oil (WVO) bio-diesel across the site (not-with-standing that WVO bio-diesel is not a renewable power source) but had issues with power consistency and experienced power-outs. Since 2010 Shambala has experienced relative success with a transition to 95% non-mineral based power through the use of WVO bio-diesel and six micro renewable energy suppliers on site, alongside diesel and gas sources. 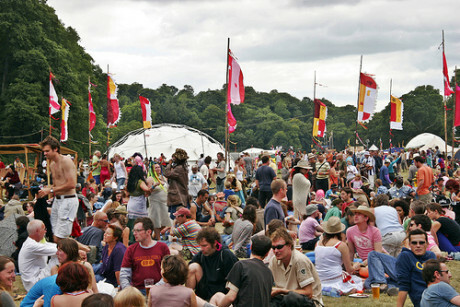 In 2010 the festival supplied solar showers and composting toilets. The festival is now 94% renewably powered. In 2013 the festival also teamed up with its power provider, Midas, and De Montfort University on a new pilot project to monitor fuel use for individual generators, looking to improve fuel efficiency across the site. The learning from this will be shared via the Powerful Thinking initiative. They have also developed a robust waste reduction and management approach, and increased recycling rates by 10% between 2012 and 2013. This has been greatly supported by a high level of both trader and audience engagement, including campaigns such as Bring a Bottle – their most successful audience engagement ever, with the sale of water in plastic bottles banned onsite completely – and Surplus Supper Club. The biggest environmental impact produced by festivals is audience travel. As Shambala’s energy emissions decrease, so the proportional impact of their audience emissions has increased, from 53% in 2009 to 90% of the festival’s total emissions in 2010. Audience travel remains a challenge: an audience travel survey in 2010 showed that 79% travelled by car – although with an average occupancy of 3 people they are well above the average (2.6). 10% travelled by train, 8% by dedicated coaches, 3% by public transport bus, and 0.2% by short-haul flights. 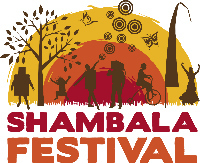 While the festival isn’t in direct control of audience choices on issues such as travel, Shambala has a number of initiatives that aim to reduce these emissions and encourage more festival-goers onto public transport, including a biofiel shuttle bus service from the local train and bus station and subidised express coaches from 6 cities. If audiences can see busing as a realistic travel option there is huge potential to reduce emissions. The festival has introduced a range of initiatives to promote the use of public transport, car and lift sharing to its audience, to reduce their travel impacts. The team have been building on the Carbon Travel Fund they introduced to provide festival-goers with an alternative travel offset option, and are working with The Converging World on investing in wind power projects, looking at a new model for offsetting all festival emissions. Shambala’s environmental priorities are communicated to the audiences online and on site, and a recent survey highlighted that the festival’s audience does feel strongly about the environment; the website, press releases, emails, event programme, the ticket buying process and the festival site all reflect the environmental credentials of the festival, and on the Sunday of each festival the organisers run a ‘People’s Parliament’ for audiences to comment on their ‘green credentials’ and feed back on how the festival is run. Shambala is going beyond the minimum requirements of their own commitment to environmental performance through work with the supply chain that supports the festival, requiring contractors and traders to complete questionnaires and comply with a sustainability checklist for tendering. ‘Green’ trader assessments and awards are also undertaken. Ambitious policies to reuse materials and enforce traders to source produce locally were partially met in 2009, and in 2010 these policies were communicated to all artists, creative projects and area/venue managers. This procurement policy on traders means that produce has to be ethically sourced with a preference for small/local suppliers, resulting in fairtrade tea and coffee and happy meat and a priority for organic traders, while all construction timber has to be FSC certified. Preference is also given to traders who are powering themselves self sufficiently and the local community is invited to trade via a community letter. “Good auditing provides the information we need to make informed decisions about where to concentrate our efforts in reducing carbon, and how successful initiatives have been year on year” says Jen Coles, Shambala’s Sustainability Coordinator. Over the years, the efforts of Shambala have provided new insights into innovation on how to run a more sustainable festival. The ambitious sustainability policy of Shambala provides a guiding light in educating, inspiring and motivating the festival sector as a whole. Shambala have taken this role one step further by co-founding the Powerful Thinking initiative, a festival industry think-do tank exploring game-changing ideas for responding to climate change. Julie’s Bicycle has embarked on a series of cross-European workshops on sustainability and the visual arts, with a session in Spain, organised by artist residency resource hub Art Motile and hosted by the Museum of Contemporary Art in La Coruna, Galicia. As part of the Green Art Lab Alliance (GALA), Julie’s Bicycle will be working with local arts organisations in seven European countries – from Scotland to Serbia – to identify realistic steps that address the environmental sustainability implications of artistic work, operations, and engagement with the wider public. The workshop at La Coruna had a special focus on the role of artist residencies, with a fascinating and inspiring talk from Joya: arte + ecología, an arts organisation based at an off-grid converted farmhouse in a national park in Andalucía. Joya: arte + ecología’s latest project is Sistemas Efímeros ephemeral systems – an arts-led, trans-disciplinary collaborative project that explores the perception of the natural value of arid landscapes, while promoting sustainable and transferable adaptations to land use and water resources at a time of rapid environmental change.